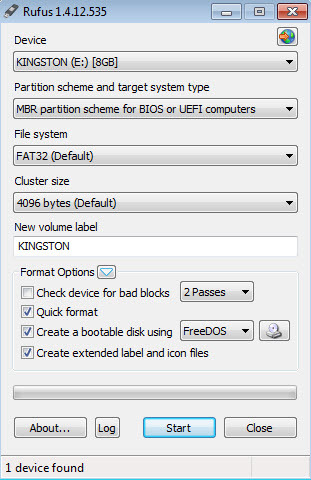 This small utility can be used to create bootable USB. A bootable USB can be used to install a new operating system on a computer, or any other software that require to be run from the boot sequence. Traditionally, when you want to install Windows operating system, you have a CD/DVD. Now is possible to use an USB stick. Rufus is simple and intuitive. The USB will be formatted prior to writing the ISO file on it. 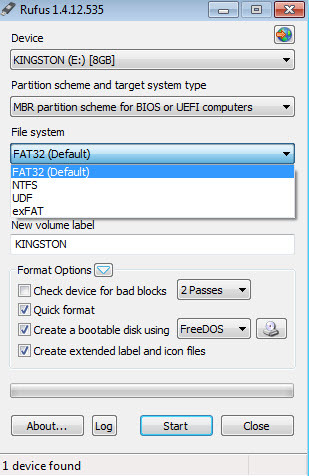 You can choose the type of formatting (FAT32, NTFS ..), rename the USB stick. 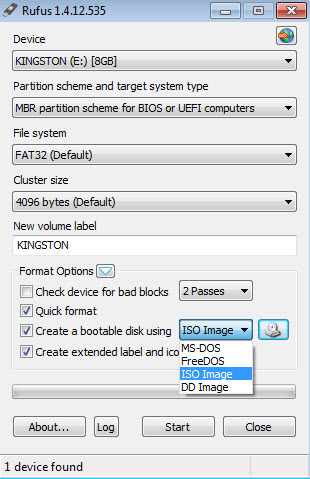 You can create a bootable disk using ISO, DD image, MS-DOS or FreeDos. Pro: Small, fast and easy to use. Rufus is available as free download for Windows 32-bit and 64-bit. Rufus is 100% clean and safe to install. You can see the test results here.